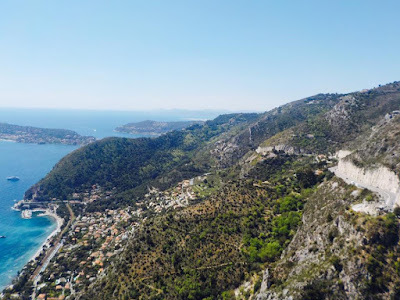 This 'eagle's nest' as it is sometimes referred to overlooks the St. Jean Cap-Ferrat peninsula. This next view is looking inland towards the mountains. 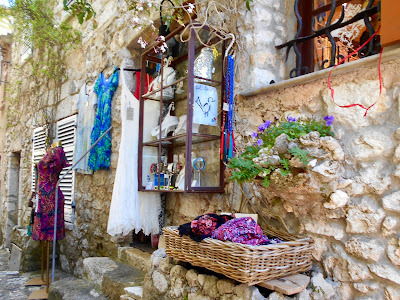 Eze was established in the 12th century BC and for hundreds of years was contested by the French and Italians. 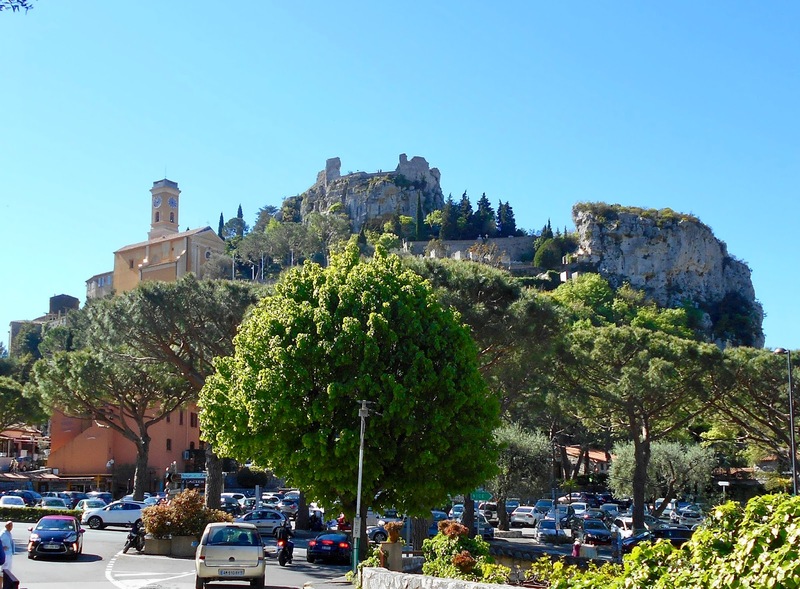 By 1388 the Italian royal family ruled, but during the medieval years it was completely destroyed and rebuilt by the French. Walking around the village one is easily transported back in time as the stone, pavement and buildings all date back hundreds of years. Scattered about are art galleries or shops selling everything from linens to pottery, original paintings and sculptures to knick knacks. 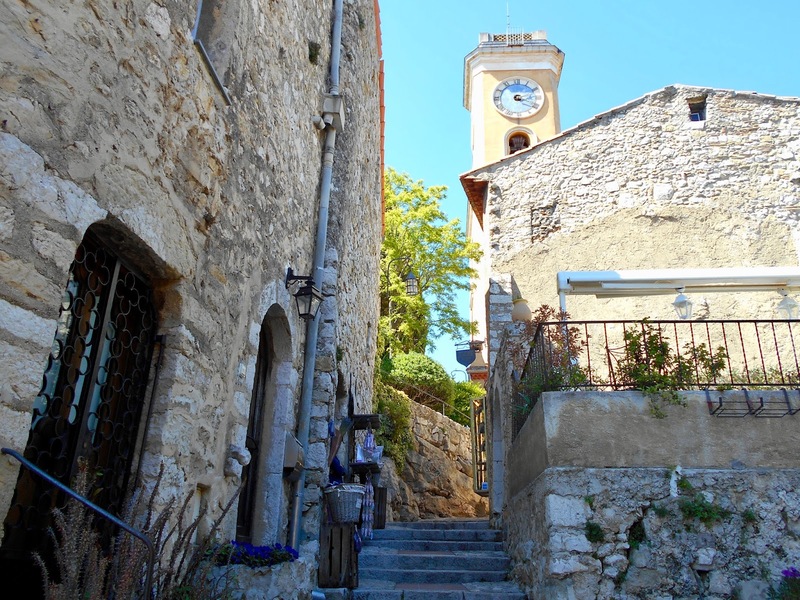 If one wishes a quiet moment or wants to escape the crowds the church of Notre Dame de l'Assomption is a perfect place to visit. 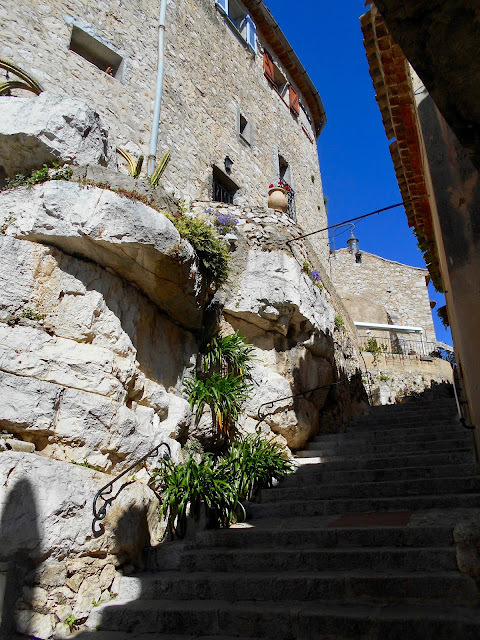 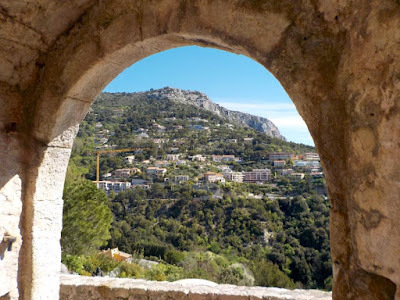 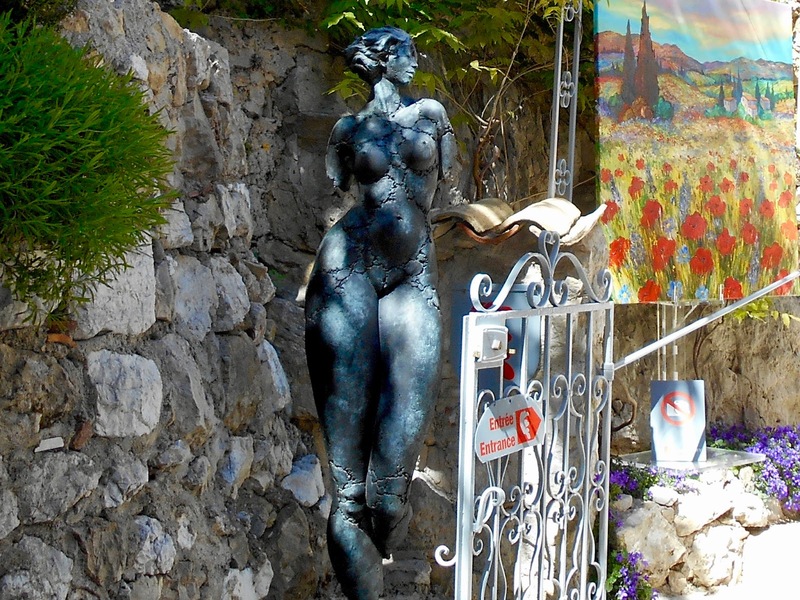 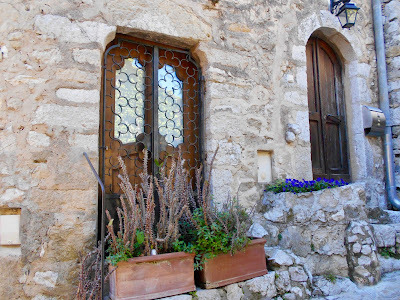 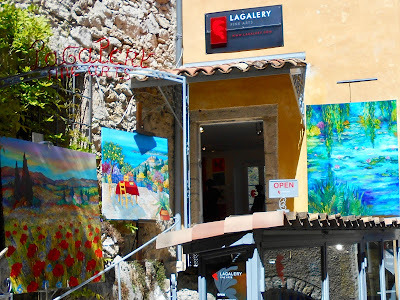 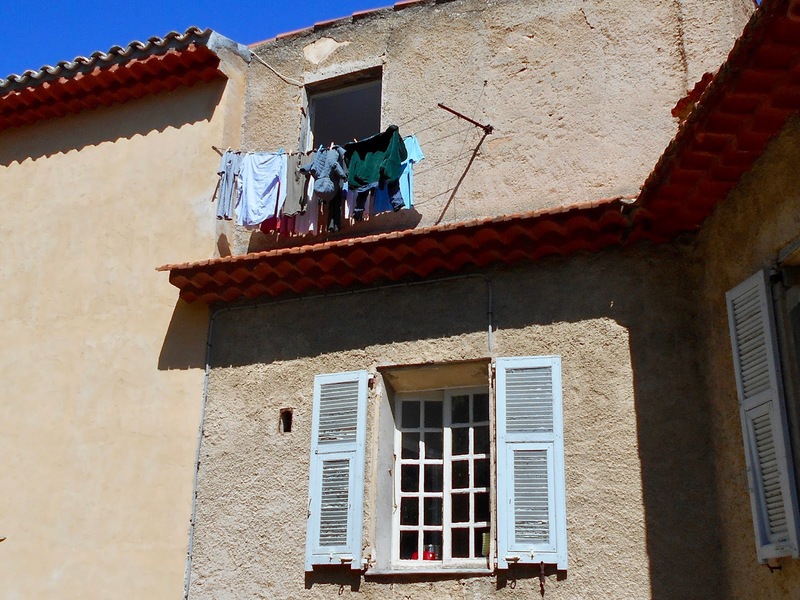 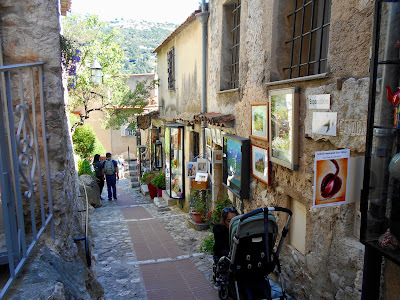 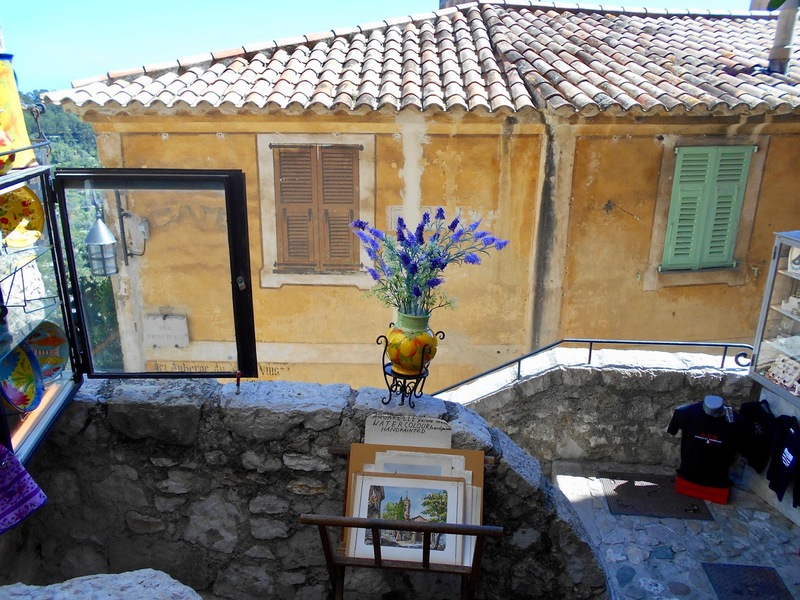 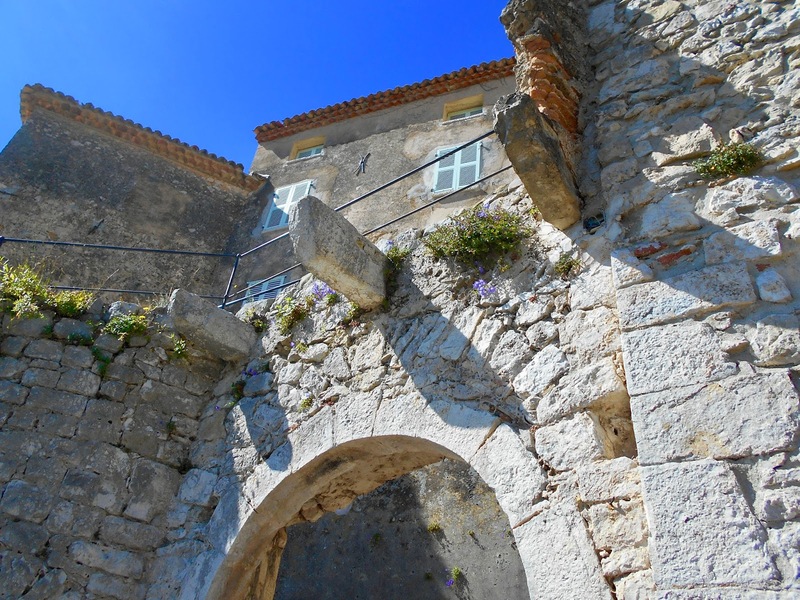 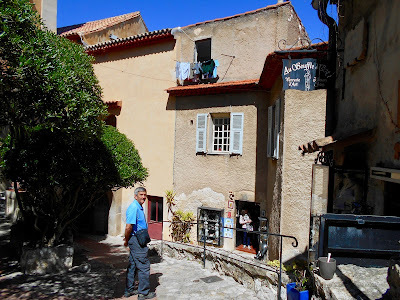 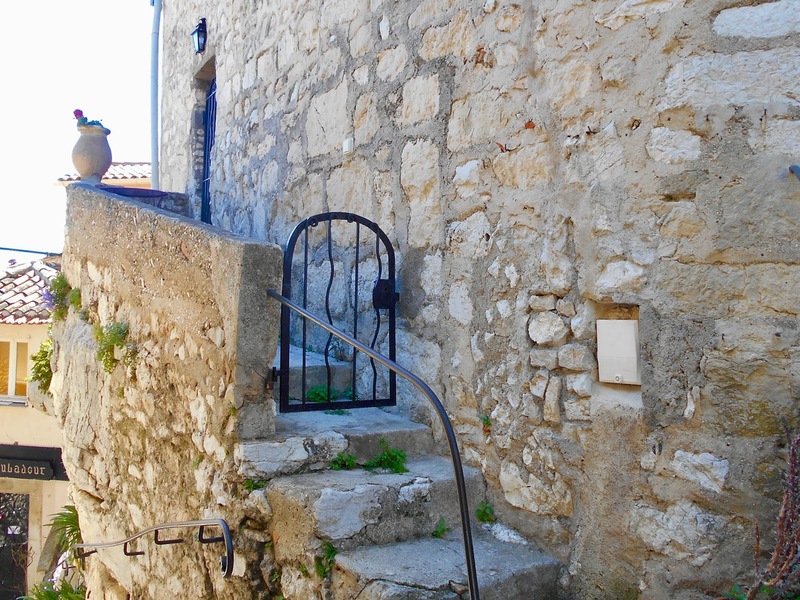 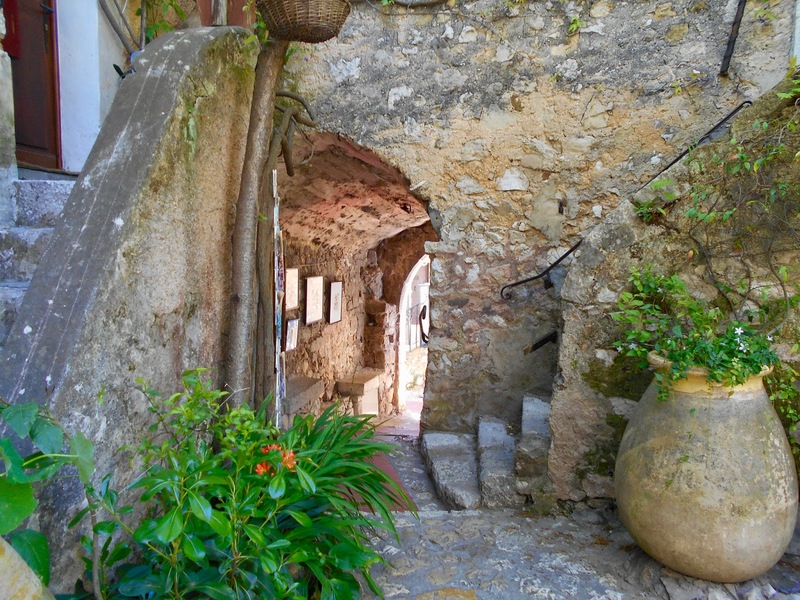 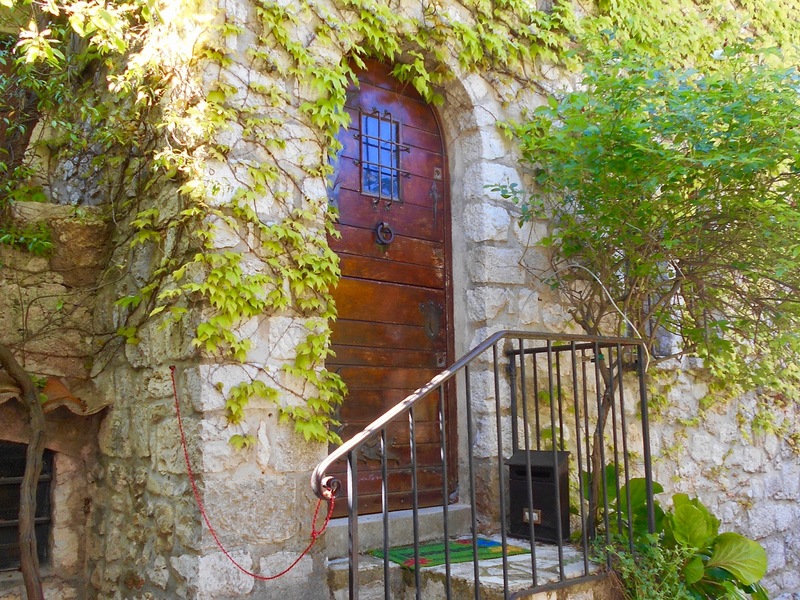 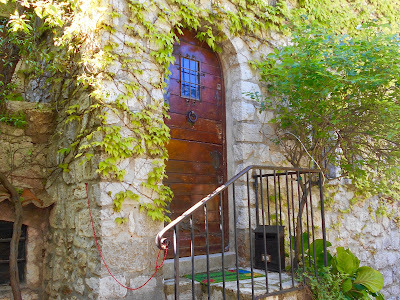 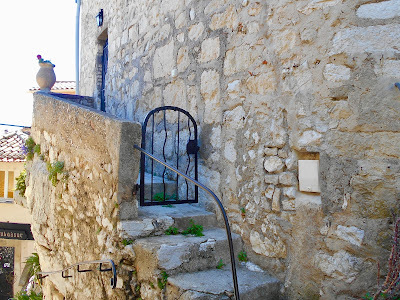 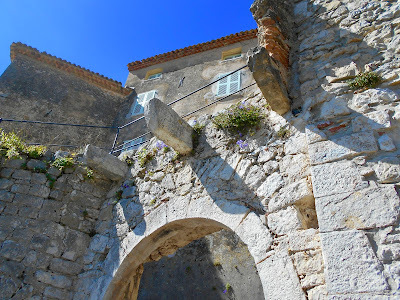 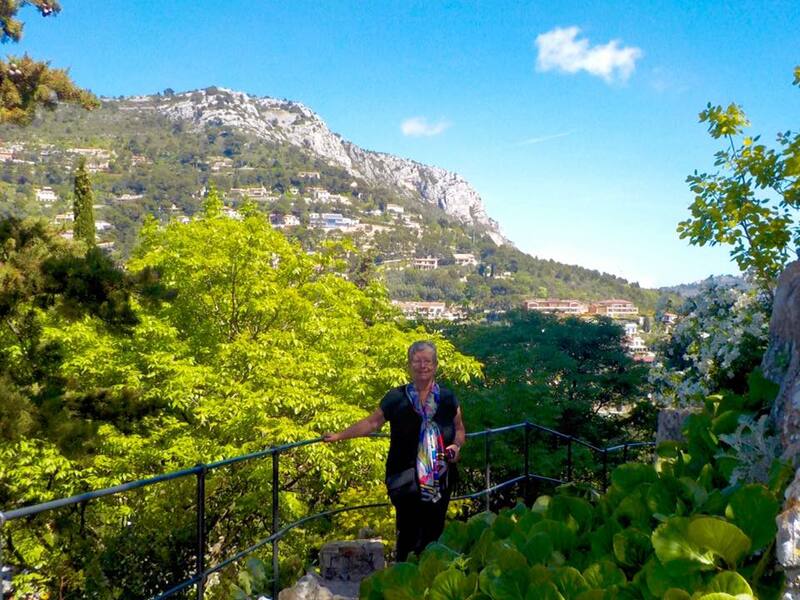 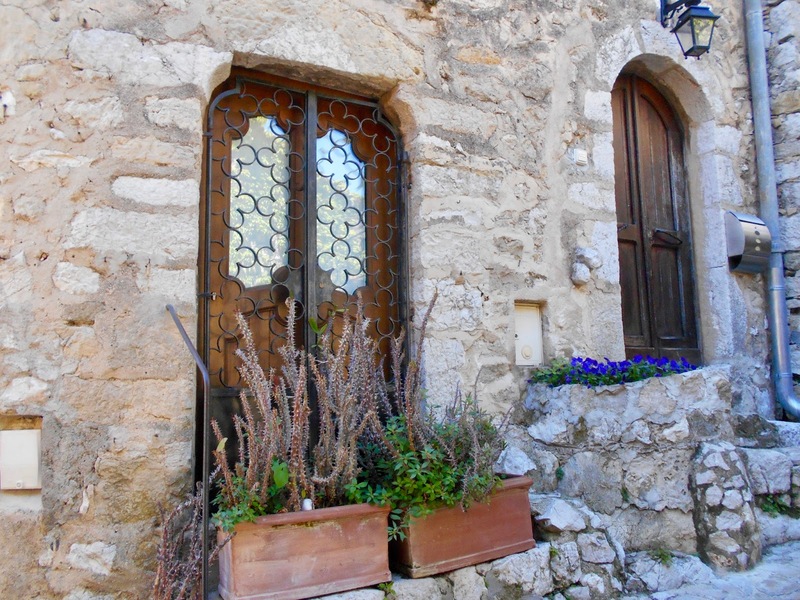 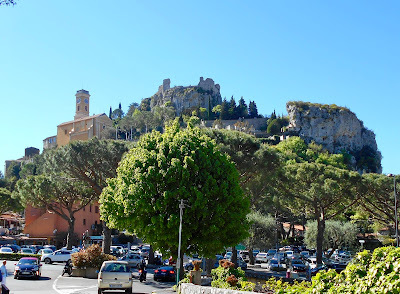 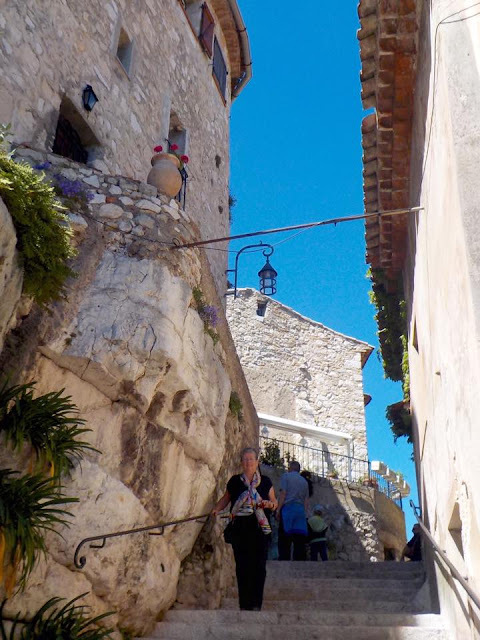 Still, there is so much to explore and experience within the confines of Eze. Beauty is around every corner. All of this walking up, down and around created an appetite. 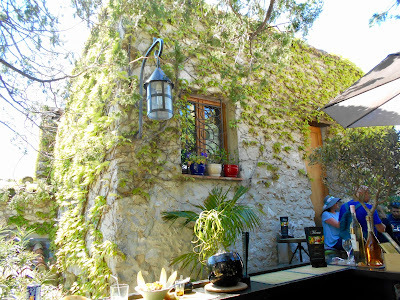 We stopped at the 'Deli' restaurant because of its positive TripAdvisor reviews and were not disappointed. 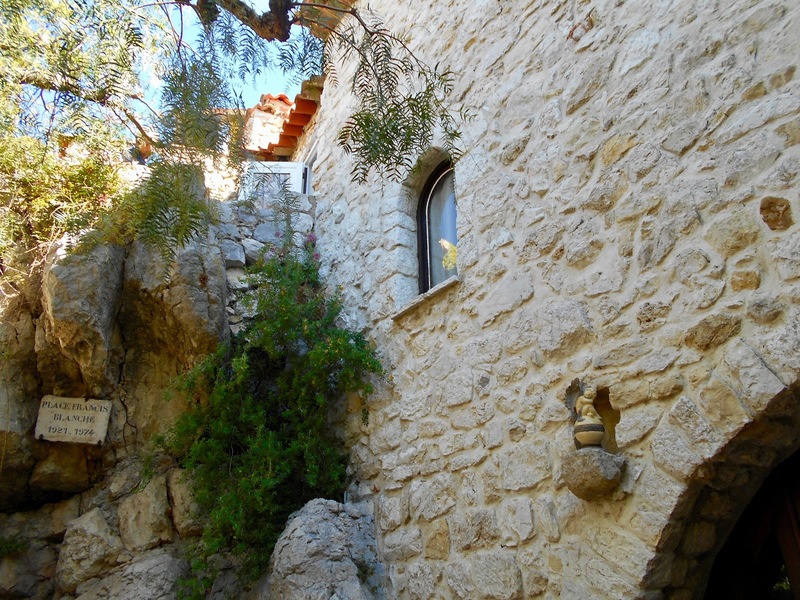 It's perched along a narrow walkway at the top of a steep incline. 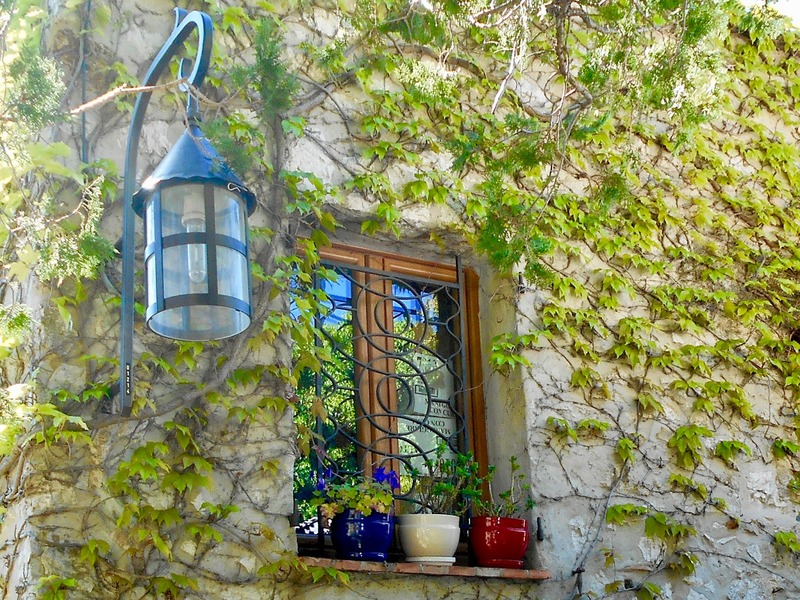 Besides sitting across the table from my wonderful husband, how's this for a delicious view?! 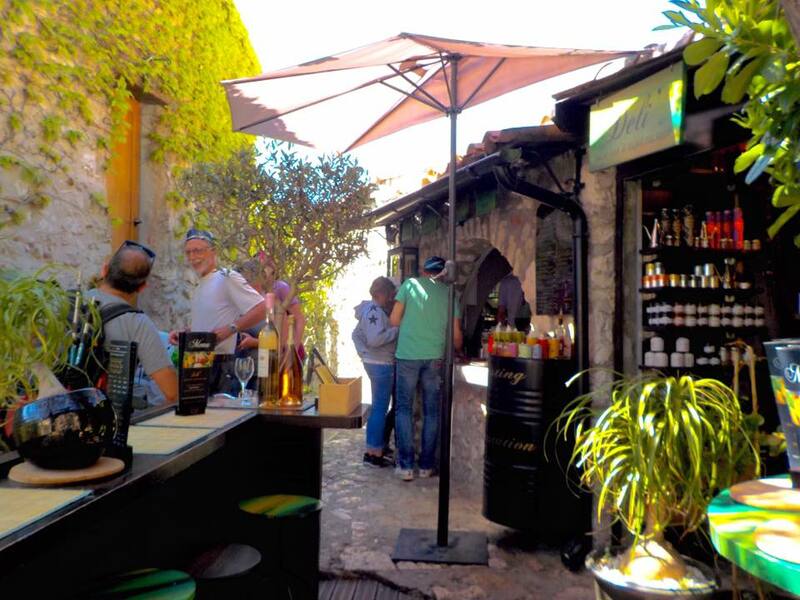 The medieval town Eze is well worth exploring on its own, but add in the Exotic Gardens of Eze that are situated at the very top of town and that's the making for an exceptional outing. Next post will feature the gardens. 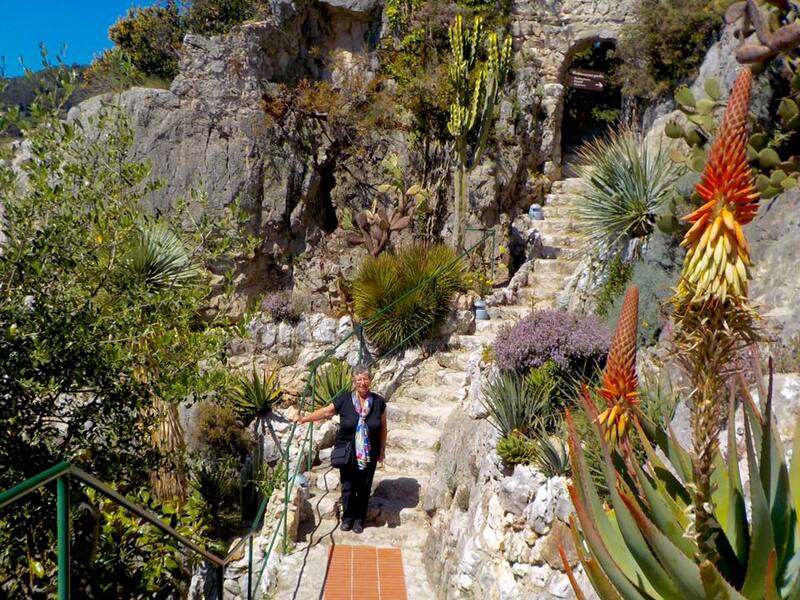 Here's a sampling of what is in store.